Apple has just pushed the rather surprising iOS 8.1.2 download for iPhone, iPad and iPod touch users. Given that iOS 8.1.2 has only just appeared, there is no jailbreak tool available for it yet, and therefore, we’d advise that you do not update your device just yet unless you’re happy with the idea of possibly waiving your jailbreaking window. After the Mac maker put Pangu8 to rest with the release of iOS 8.1.1, it seemed like we were on the cusp of another dry patch as the dedicated hackers and developers went back to the drawing board and sought new ways to hack deep into iOS. But along came yet another Chinese jailbreaking outfit in the form of the TaiG team, and not only did it burst on the scene with yet more untethered mastery, but the TaiG tool has since been lauded as one of the smoothest and most transparent jailbreaks by seasoned developers and users alike. It’s not unheard of for Apple to release a new piece of software and ignore jailbreak-facilitating exploits, but it’s fair to say that it doesn’t occur too often, and while word on it is that the kernel of iOS 8.1.2 doesn’t patch the critical kernel exploits and thus, shouldn’t affect the jailbreaking prospects, it’s still best to hold back for now. i0n1c’s words on Twitter are certainly encouraging, and indicate that TaiG can henceforth be updated to support iOS 8.1.2, but until such a time as this occurs, jailbreakers should steer clear and wait for TaiG team for official confirmation. Another famous hacker iH8sn0w has pointed towards Apple’s knowledge base article for iOS 8.1.2 security which doesn’t state anything related to TaiG exploits being patched in 8.1.2. If these early signs are anything to go by, TaiG team should be able to update the tool with support for iOS 8.1.2. But until that happens, it is best to stay on iOS 8.1.1. If, of course, you’re not bothered about jailbreaking, then by all means go ahead and update, particularly if you’ve been having issues with purchased ringtones disappearing from your device. As well as that problem, the change log also notes of general "bug fixes" with iOS 8.1.2, so if you don’t consider yourself to be a jailbreaker, then keeping up-to-date is always advised. 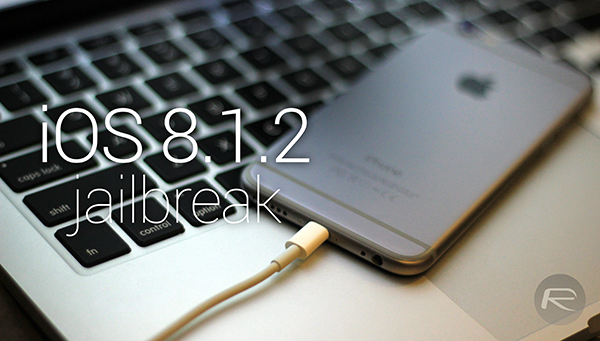 As and when there is any further development on iOS 8.1.2 jailbreak front, we’ll let you guys know right away. Hopefully, TaiG team will be able to update the untether to support this new edition of iOS. Fingers crossed. If you have accidentally updated to iOS 8.1.2, you can downgrade now using our guide: Downgrade iOS 8.1.2 To 8.1.1 On iPhone, iPad [How-To Tutorial]. WHO POSTS exactly where the exploit is……. That makes no sense. If we want to keep our jailbreak, it’s not the best decision to post it online so Apple can see it..
did u see what is on that support page??? or just bitching around? Stop it. You are a bully! It was not just pushed out to resolve the bot ringtones. It was said to resolve issues that students and faculty/staff had in schoolds when using AirPlay w/ Apple TVs.